I spend a lot of time at The Peak as we call it and Victoria Peak to everyone else! bio diversity is not a phrase that you would associate with Hong Kong but we do have our fair share of bugs and nasty creatures (and don't get me started on the snakes we have). This is a gentle creature but it is not that common at the Peak and I tend to get quite excited when I see one... the Blue Tailed Skink. I really hate the Giant Centipede | the stuff of horror movies and another fairly common bug at Victoria Peak.... the ones I have seen seem to be around 6 - 7 inches long and they scurry really fast and in the past few years I have had to despatch 3 to bug heaven or hell as they had started running up my jeans. 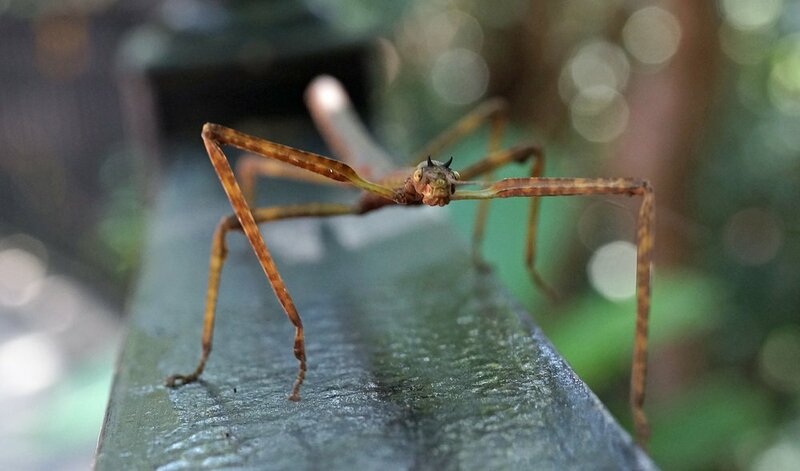 I love stick insects, they can be quite big and the really do look like a stick or twig and I am guessing much smaller bugs are terrified of them due to their sheer size.